Of all the salad dressings at our neighborhood sandwich joint, my favorite is the honey mustard. Zippy and tangy, it’s the perfect topping for a classic iceberg salad. Luckily, it’s super easy to make at home — you just put all the ingredients in a jam jar and shake. 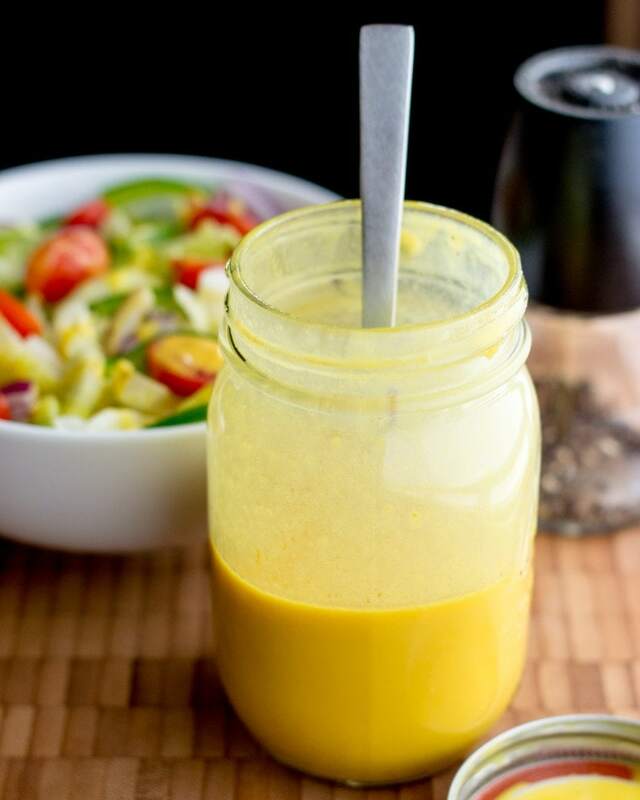 There’re only five ingredients in this salad dressing, and each one plays an important part. As far as the mustard goes, classic yellow is the obvious choice. Grainy mustard works well too, but I love the smooth texture and sunny color of the basic, hot dog-topping variety. 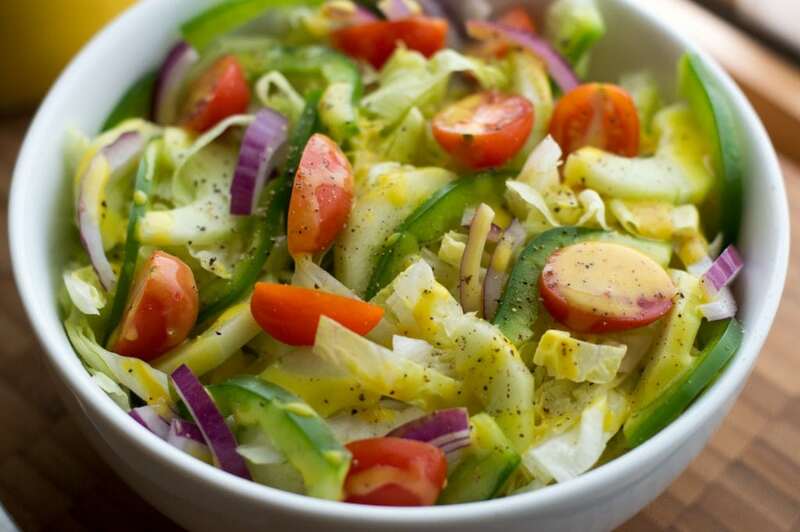 Oil and vinegar form the base of the dressing, and I like to use basic white distilled vinegar and any neutral vegetable oil, such as sunflower or canola. This way, nothing distracts from the mustard flavor. All that’s left is a squeeze of honey and some salt to taste. I use just a tablespoon of honey and a pinch of salt, but feel free to season and sweeten to your taste! Just dip a lettuce leaf in and see if you’re happy with the proportions, then adjust as needed. Classic deli all the way, this salad dressing is great on iceberg or romaine. Combine all ingredients in a pint-sized mason jar. Close the lid tightly, then shake the jar vigorously until all of the honey is dissolved and the ingredients are thoroughly blended. Taste for seasoning, adding more honey or salt if desired. 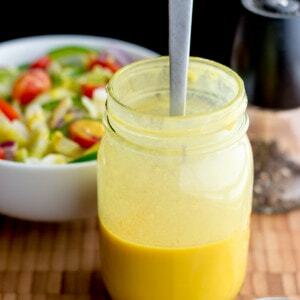 I love dressings like this, especially on winter salads. How long will whole grain mustard salad dressing keep for.